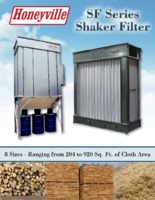 Shaker Filters | Honeyville Metal, Inc. 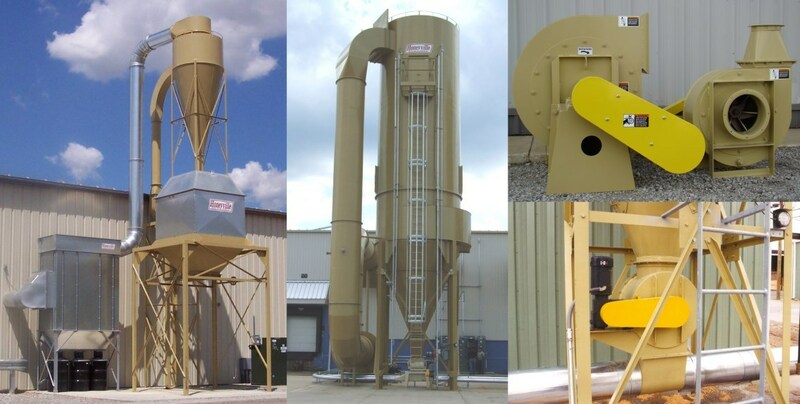 The Honeyville Shaker Filter ("SF") Series is ideal for small shops where you have the option to shut down the system periodically to shake the bags. It is available in 8 sizes with a recommended capacity range from 1,000 CFM to 6,000 CFM. 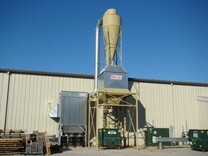 This unit can be installed inside or outside your shop. The SF Series is designed for use as an after filter for venting air from a primary cyclone. Some light dust applications allow the SF Series to be connected directly to a fan outlet serving as a primary filter. Construction: All galvanized, bolted steel construction for years of service. 14 and 16 Ga. panels, 12 Ga. cell plate. SF-30S 204 10" Dia. 37-1/2" 43-1/2" 92-1/4" 147-1/2"